Time Traveler Maps has recently published our most ambitious thematic map and book of the last twenty years. 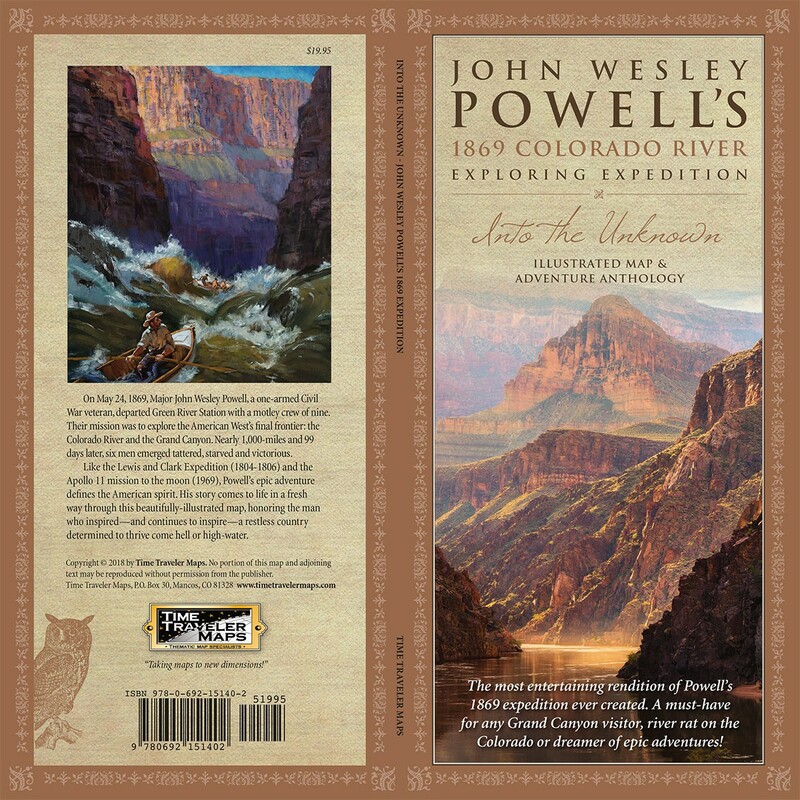 The epic John Wesley Powell 1869 Colorado River Exploring Expedition is the subject of this most exciting project. 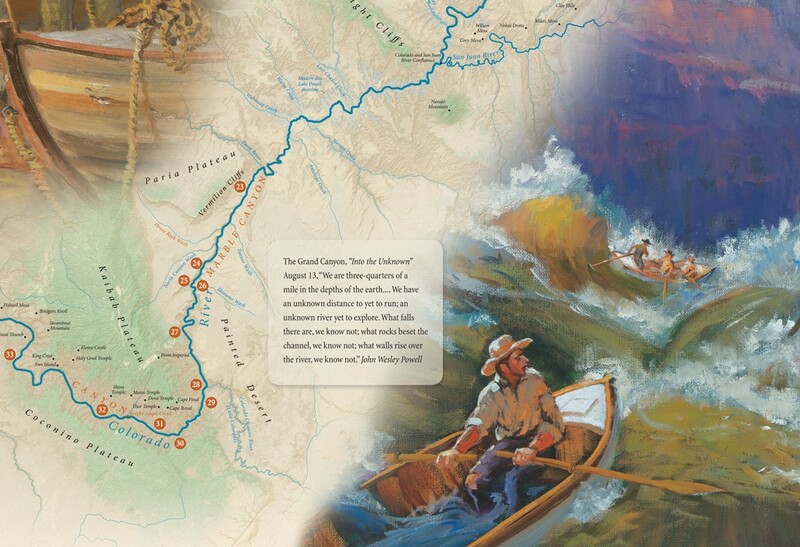 If you are a fan of the Grand Canyon, a river rat, or a dreamer of epic adventures, you will find this new book and map a great addition for your trip to the Grand Canyon or your library. You can see more at www.timetravelermaps.com and if you subscribe to our newsletter you will receive a 10% discount on your first order. (discount code POWELL). 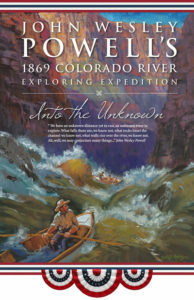 The Powell map, ISBN 978-0-692-15140-2 retails for $19.95 and the unfolded wall map on heavy stock sells for $25. 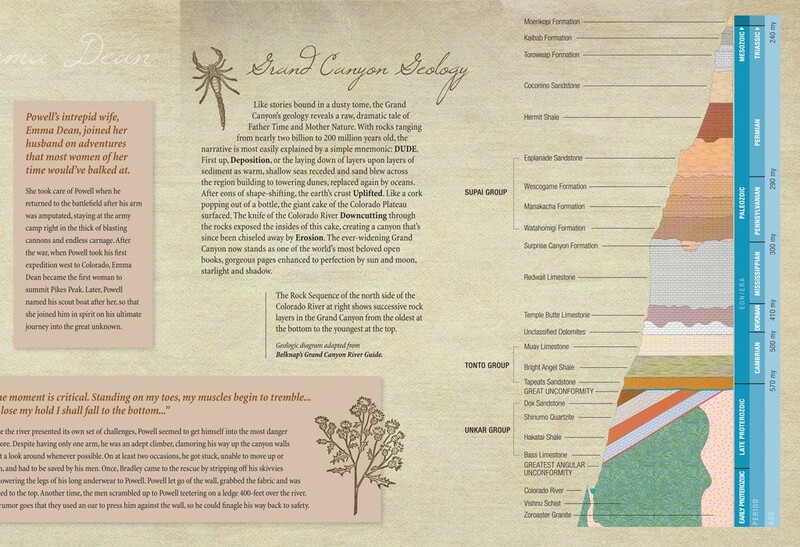 We have completed the most creative rendition of Powell’s 1869 expedition ever published. 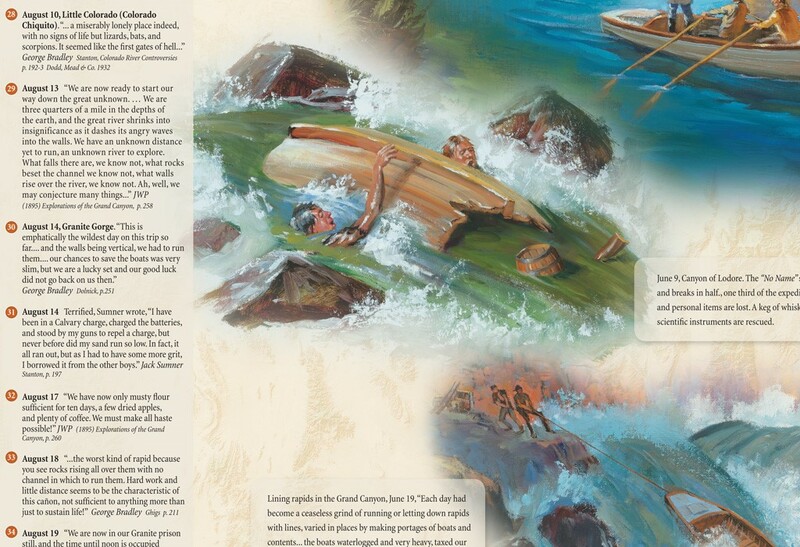 Glen Hopkinson, one of the country’s top historical illustrators, has painted brilliant vignettes capturing scenes from the expedition. There was no photographer on this journey, so images were created based on first hand journals and reports. Grand Canyon photographer, Adam Schallau added the cover photo and a large interior canyon image and our wonderful designers at Athena Communications in Durango help to produce this most attractive package. Joy Martin, a most talented Durango writer, added the text that gives a new and refreshing view of this classic American adventure. Our cartographer, Mark Stroud of Moon Street Cartography has once again created a stunning shaded relief map of the expedition’s route from Green River, Wyoming down the Colorado River and through the Grand Canyon. 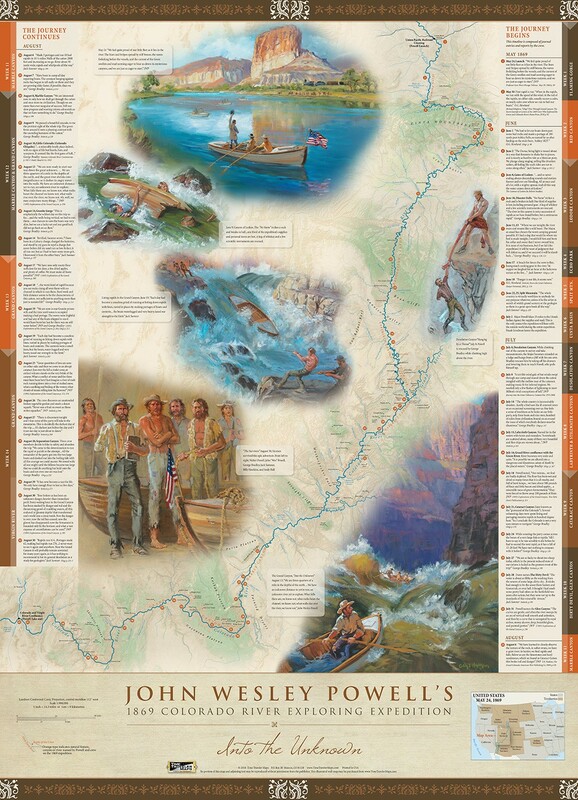 Powell and his crew were on the river for 99 days and covered almost 1000 miles. Finally, this project wouldn’t have been possible without the journals of JWP and his crew. We used these first-person accounts to construct a comprehensive timeline of the journey and as expected not everyone was having a great time! Taking Maps to New Dimensions! © 2019 Time Traveler Maps. All rights reserved.